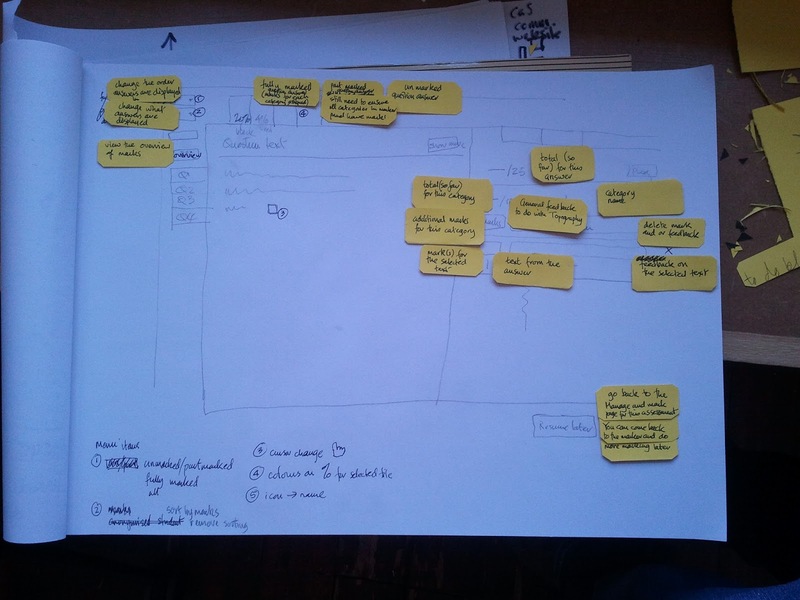 Hedtek Dev Blog: Time for some paper prototyping.. Tooltips everywhere!! Time for some paper prototyping.. Tooltips everywhere!! Conventionally, designing a set of tool tips like this might result in a long and boring email thread discussing specifications and showing edited screenshots, or a couple of hours of design activities (using a browser inspector, whose contents could have been lost on accidentally pressing back or refresh). Instead we did this as a fun visual exercise that we finished in less than an hour with everyone understanding what was needed on the page.